Once upon a time, it was seen as some sort of taboo for a man or even a boy to be seen close to the kitchen or offering to help not to talk of actual cooking. Like so many other pointless stereotypes, this one is also gradually phasing out thanks to the men who love food and its preparation and who have stood up to do just that. In recent times, we have so many hunks owning the kitchen and even making tons of cash from it. Of course, we can’t talk about male Chefs and leave out Nick Stellino – the man is a widely recognized chef and a ‘walking Italian cookbook’. Nick Stellino was bred in Palermo Sicily, the same Italian city where he was born on the 1st of May 1958. Growing up, there was so much good music, lots of food, love, and family around him but he craved an additional thing. He wanted to travel to America, the land of football. Around the year 1975, he finally fulfilled this dream when he traveled to Eureka in the United States for his studies. He started a career as a stockbroker and it could be tempting to say that life was a bed of roses for Nick from then onwards but it wasn’t so. He faced a number of challenges but being determined, he was able to rise above all of them to become known as a successful stockbroker over 10 years later. Despite this success, his childhood love for cooking came calling and Nick was left with no choice than to bid his stockbroking career goodbye. Losing a beloved uncle and having to rehabilitate a broken knee he got during a football game were the two game changers for him. Backed with his knowledge of food, he sought for a job as a chef but was always shown the door seeing as he had no formal experience. He decided to become a dishwasher; at least that put him right in the kitchen alongside the actual cooking. Nick rose steadily and patiently by being an apprentice to some really good chefs like Celestino Drago and soon starting a cooking show was at the top of his mind. His goal was to reach more people with his love for cooking Italian foods and soon enough he got his audience. He began the series Cucina Amore which subsequently had a second and third sequel. 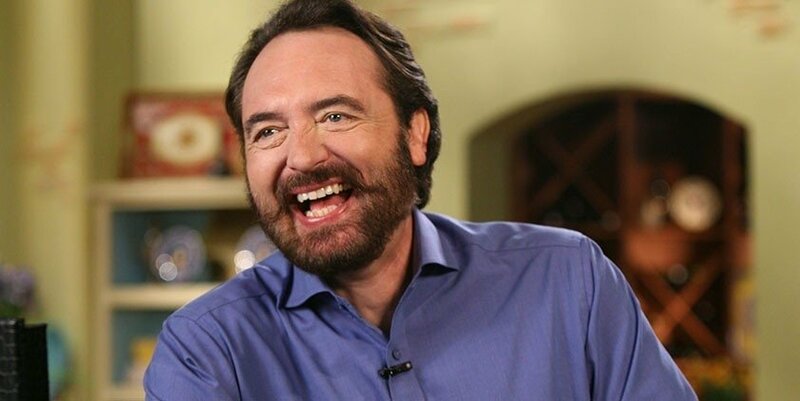 Till date, Nick has hosted several cooking shows including Nick Stellino’s Family Kitchen (4 series) and Nick Stellino: Food, Love and Family. Interestingly, Nick has also successfully converted his knowledge garnered before and on these shows into several cookbooks. These cookbooks include Cucina Amore, Nick Stellino’s Family Kitchen, Mangiomo! Let’s Eat! And Dine In. All his cookbooks have enjoyed considerable success and acceptance. Nick is also a motivational speaker and has appeared on several shows as a featured guest. His acceptance also comes from national publications like Home Magazine, The New York Times and Bon Appetit. Of course, he enjoys special recognition at food festivals and other food events. He is well loved and admired for his comic ease, creativity, and hard work. The successful chef also has several notable appearances and achievements to his name. These include being the first chef to become a Grand Marshal of San Francisco Columbus Day Parade (in 1999). In 2008, he was a celebrity chef at the Milwaukee Festa Italiana. He is also a motivational keynote speaker at Executive Speakers Bureau. Nick Stellino is married to Nanci Stellino. She is a beautiful woman who was born in the year 1954. Nanci is passionate about photography and shares her world of photographs with the world on a website named Stellino Photography. Nick and Nanci met in 1981 at a time when he was just rounding up a photography class. Their interest in pictures kind of drew them together. They have been living happily ever for over 30 years. The couple resides in Los Angeles, California. The Stellinos’ do not have any children together. They live a happy life though with two gorgeous cats, Luigi and Luca. Nick was born to Vincenzo Stellino, his father, and Massimiliano Boccato, his mother. He gained his love for cooking from his Sicily family. His family was wrapped in so much love that it flowed even through their food. Members, including Josh and Andrew, two of his nephews, has appeared on his family cooking shows. It is interesting to note that his dad didn’t accept his career change with open arms but later gave him his blessings, supposedly, after a special meal from his wife. 1. Nick’s childhood friends coined a nickname for him following his seemingly unstoppable dream of going to America. This name was Nick Americano, it stuck and even came to pass. 2. Following Nick’s initial arrival in America, he stuffed himself on so many unhealthy meals that he put on over 45 pounds. He recalls shedding this weight by eating some healthy Italian meals he made with his mom’s recipes. 3. Nick Stellino’s birth sign is Taurus.